Scent: Sweet, woody, citrusy and slightly minty. Benefits, Indications: Palo Santo has been used for hundreds of years by native shamans for spiritual applications. For those who integrate essential oils within meditation, prayer or other spiritual applications, Palo Santo is an oil to pay close attention to. Highly regarded for use within vibrational work and clearing negativity. Opens the third eye and crown chakras. Insect repellent. This oil is very effective for colds, flu, sinus infections, coughs, bronchitis and especially asthma, as well as muscular aches and pain. This is due to its extremely high content of limonene (a monoterpene). Emotionally, Palo Santo Oil is grounding and elicits a sense of peacefulness and calm. It is a good repellent for mosquitoes and other insects. Palo Santo has a pleasant aroma which is plus when needing an insect repellent. Precautions: No known contraindications, but care should be taken as with all oils. Do not use if oxidized. Avoid use during pregnancy. Do not take Palo Santo essential oil internally. 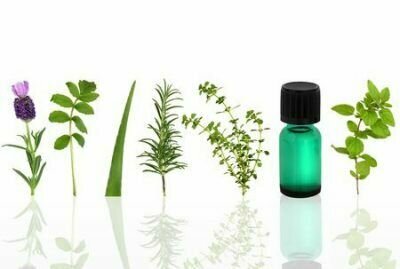 Chemical composition and anti-proliferative properties of Bursera graveolens essential oil.